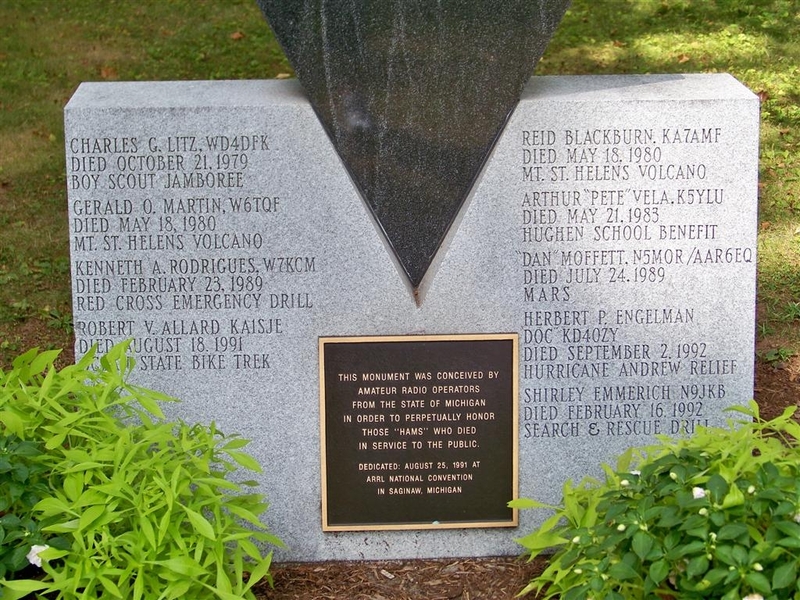 ARRL Headquarters — ham history in the morning and a pileup in the afternoon. Arriving at the ARRL headquarters building around 11 AM, we were greeted by our volunteer guide Charles “Skip” Colton, W1FTE. Since Skip would finish his shift at noon and the W1AW building would shut down over the lunch hour, Skip advised us to get on the air immediately for a contact or two on 17 meters and then return for an afternoon session on 20 meters. Marginal band conditions on 17 meters made reception difficult, but after several CQs I was able to dig a mobile in England from out of the static. 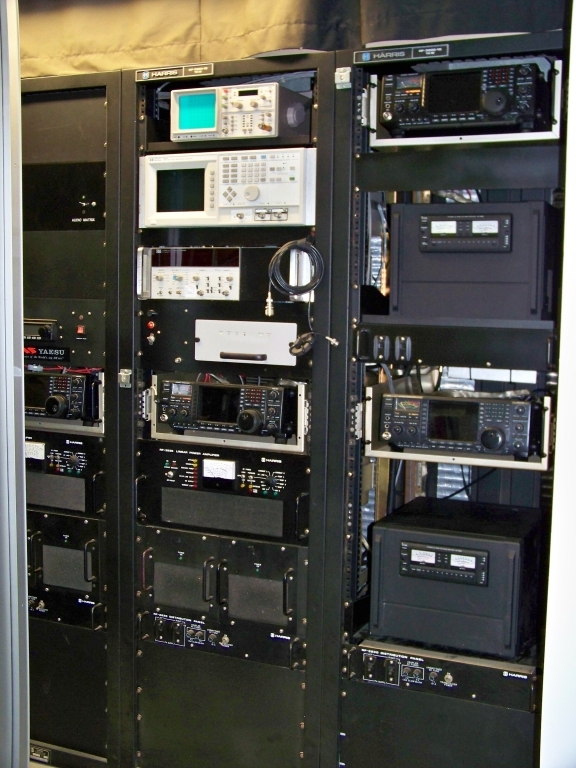 After lunch, we returned to the W1AW building for an SSB session, this time on 20 meters. Operating the FT DX 9000 transceiver in the “contest” studio was a pleasure. Atmospherics on 20 meters were considerably better than on 17 meters. As a result, I was able to make contacts with Cuba and Slovenia. Sylvia took some great pictures of the W1AW station with me at the controls. What a blast! 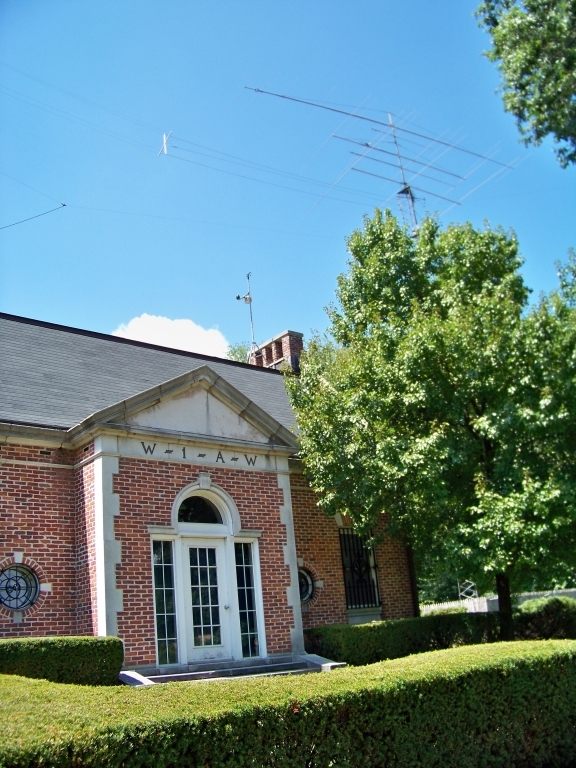 For those of you planning a trip to ARRL, the tour of the headquarters building is a must. Our guide for the afternoon was Grant Warner, AA1T. He was a brilliant and enthusiastic host who provided us with a wealth of information about the ARRL and radio history in general. With a continuous dialogue of ARRL and communications history, Grant guided us through the nerve center of the League. Of particular interest was the outgoing QSL Bureau, the Education Department, the ARRL Lab and the Contest and Awards area. Kudos to the lab technician who took the time to track down a source on the Internet for purchasing Ben Stearns’ book, Arthur Collins, Radio Wizard. 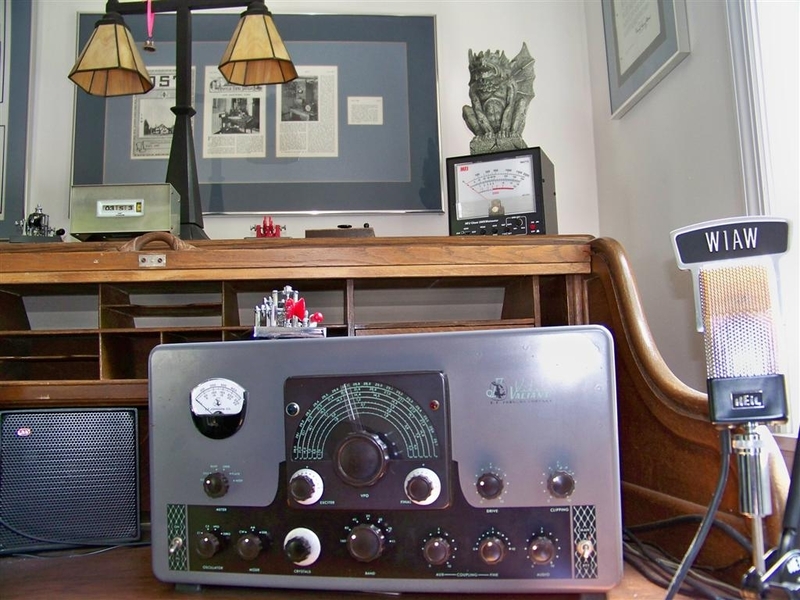 So, next time you think about taking a trip to ARRL headquarters, do it. It is well worth the time to see the League in action. 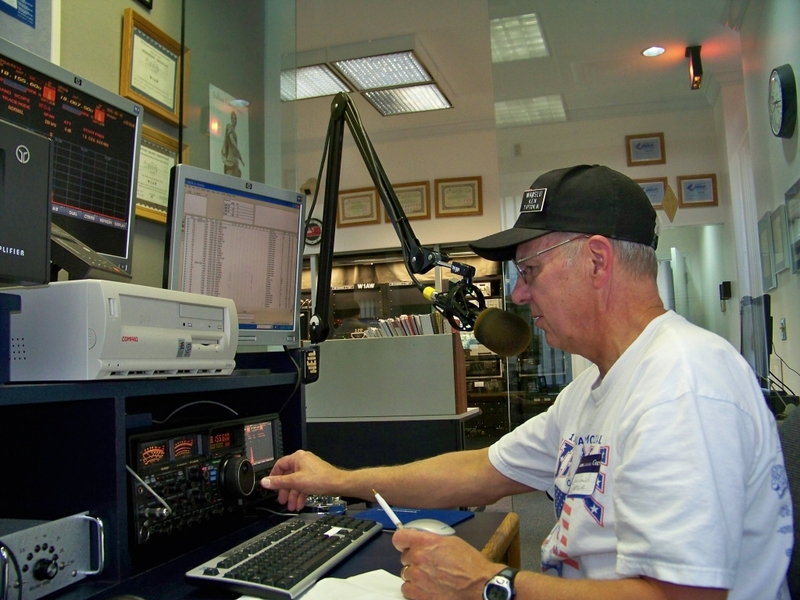 Kenneth, WAØSLU, an ARRL member, is a retired instrumental music teacher and jazz DJ for radio station KCCK. 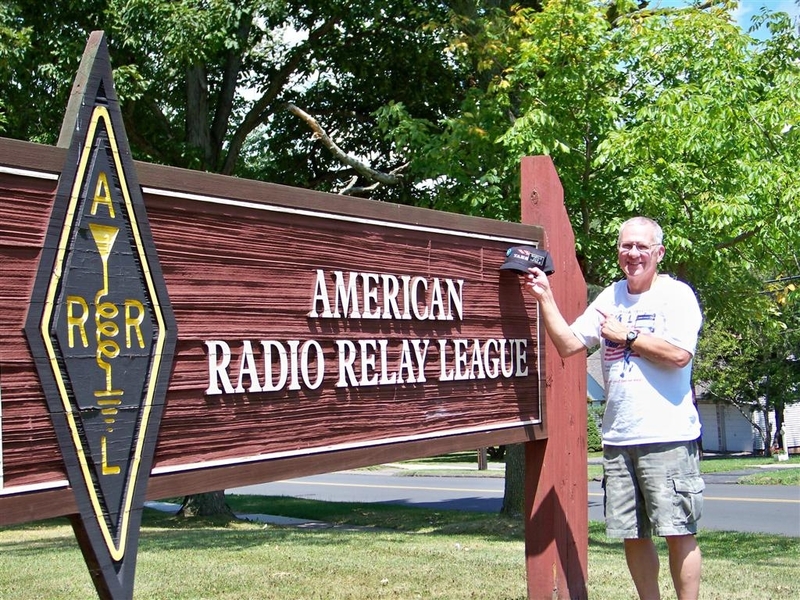 He has been a ham for 47 years and received his 40 year member pin from the ARRL in 2008. Originally licensed as KN9BGS in 1956, he returned to the hobby of his boyhood in 1964 with the call of WA9MUS. Moving to Iowa in 1967 he was assigned the call WAØSLU. 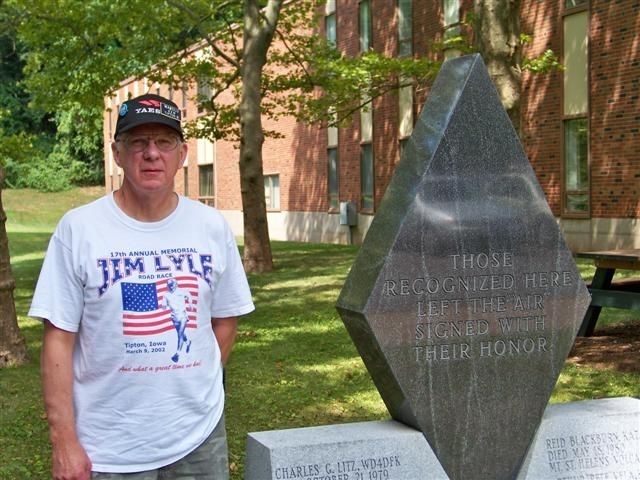 Low power and digital operation are his favorite pastimes on the bands along with a regular weekly schedule with his brother Chuck, N4YXW, in Warrenton, Virginia. Ken can be contacted at 304 Walnut St, Tipton, IA 52772-1845, wa0slu@arrl.net.